Universal truth. Small om charm in sterling silver or gold plated (over silver) with 5 mm jump ring. You can add it to your favorite charm bracelet, necklace or anklet. Ultrasuede is Vegetarian! Om Anklet or Om Bracelet with our om cube design on a vegetarian ultrasuede color band of your choice. 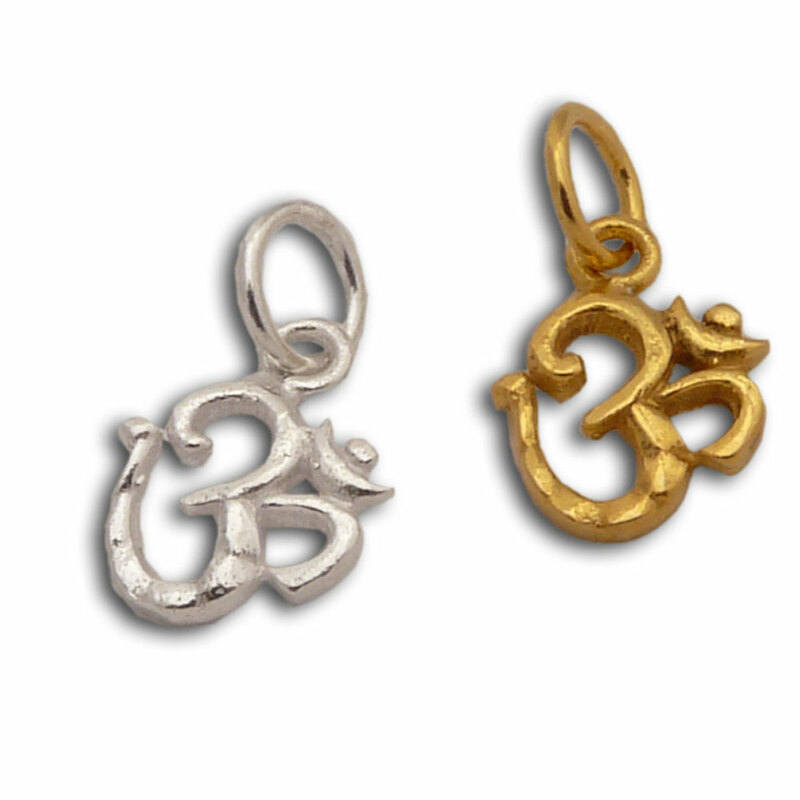 Ganesh and Om coin bead charm is double-sided, reversible pendant hanging from a bead that has a 4.5 mm hole and little hearts around the bead ring. It also has a rubber stopper so that the charm does not move around (this can be removed if desired to allow free movement).